PA/010519/RU/R&A-II Dated. 15/04/19 Walk-in-Interview for the post of Project Assistant Level I & II. PA/220419/DC/R&A-II Dated. 11/04/2019 Walk-in-Interview for the post of Project Assistant Level I & II. CIMFR/PA/TPS/020419/(BU)/R&A-II Dated.16/03/2019. 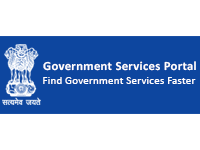 Walk-in-Interview for the post of Project Assistant Level I & II. PA/270319/DC/R&A-II Dated. 15/03/2019 Walk-in-Interview for the post of Project Assistant Level II. No. CIMFR/PA/220119(DC)/R&A-II dated 05-02-2019 Result of Walk-in-Interview held on 25/01/2019. Advt. CIMFR-01/2017 Notice regarding trade test to be held on 05-10th Feb. 2019 for the post of Technical Assistant against.